Grisly scenes from when John Gotti and Al Capone orchestrated hits on the streets of a violent New York that simply doesn't exist anymore. Many of us have seen Goodfellas, The French Connection, and numerous other iconic crime movies that paint the New York City of old with a renegade flair not unlike that of the Wild West. Sure, Times Square is now like Disneyland — but, as these vintage movies show, at one time The Big Apple was the crime capital of the United States. The first half of the 20th century was simply a different era, one in which mob hits were sometimes carried out almost as public spectacle, with a sense of theatrics, in places like restaurants, barber shops, and hotel lobbies. This sort of thing certainly didn’t happen all the time, but when it did, people undoubtedly took notice. 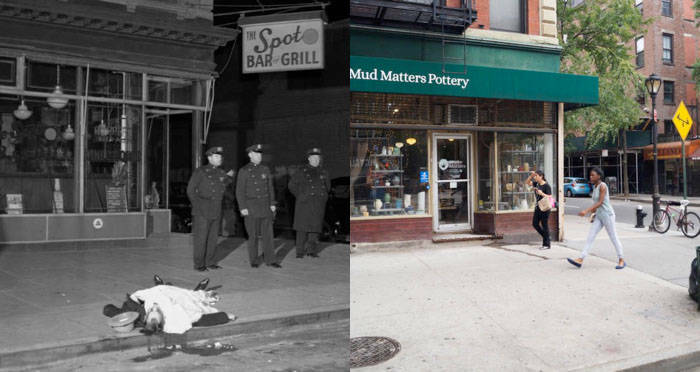 Still, these public mob hits did occur — and there are scores of stark crime scene photos that document this grisly era in pre-gentrification New York. That Starbucks you walk by every day? 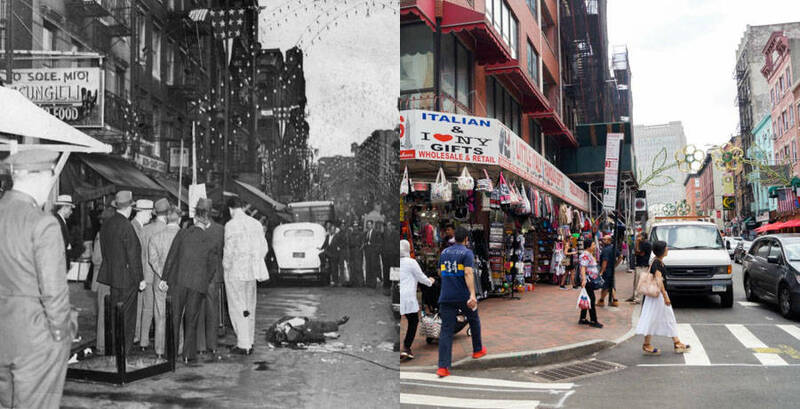 You probably didn’t even realize that the head of Murder, Inc. was gunned down at that very locale back in 1957. 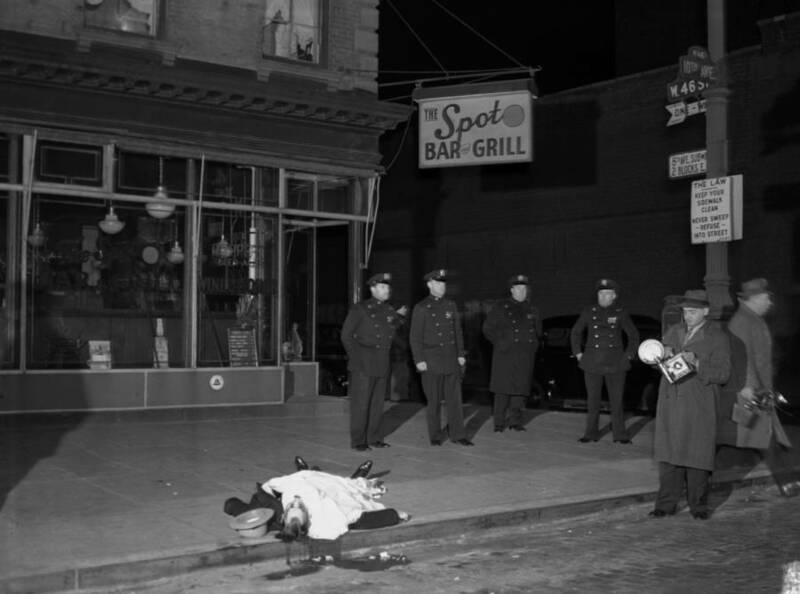 Getty ImagesThe body of David “The Beetle” Beadle lies outside of The Spot Bar And Grill on Dec. 9, 1939. Harmon LeonThe site of Beadle’s murder today. Around 1 am on Dec. 9, 1939, mob-affiliated longshoreman David “The Beetle” Beadle enter the Spot Bar and Grill at 46th St. and 10th Ave. in Hell’s Kitchen. He had been out dancing with his wife, and his brothers and their spouses earlier that night but stopped by the restaurant for a glass of water to take a pill for his heart condition. This decision proved more deadly than any medical condition the mobster had. Beadle took a few steps outside of the bar when a taxi pulled up and two men stepped out and fired away. Beadle received several bullets to the head and dropped dead on the sidewalk. The gunmen re-entered the cab and drove off. The gun used to fill Beadle with holes was found under a car a half a block away. The scene of his grisly murder — carried out as part of a gangland turf war over control of the docks — was immortalized by crime scene photographers and remains a ghastly sight to this day. 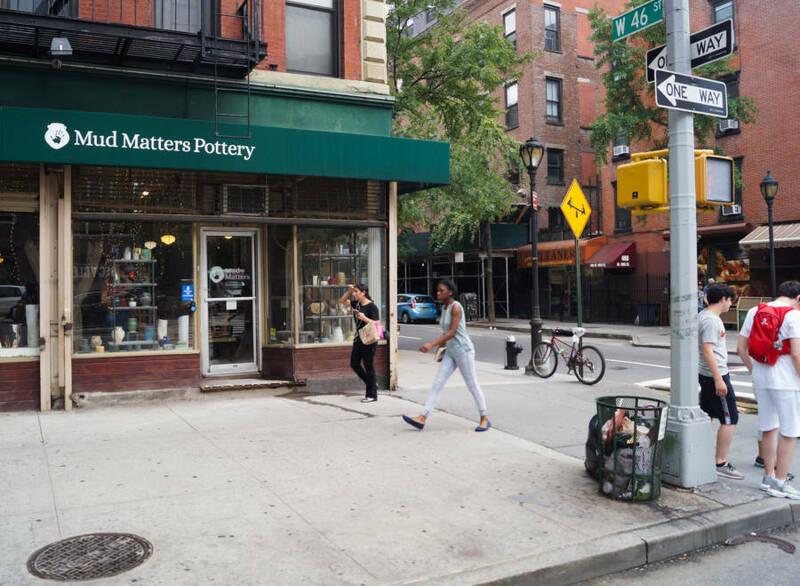 Today, the location of Beadle’s murder is home to Mud Matters Pottery, which hosts classes for adults and kids. Harmon Leon is journalist, filmmaker, comedian, and the author of Meet the Deplorables: Infiltrating Trump America. Other work in VICE, Observer, The Nation, Esquire, and WIRED.